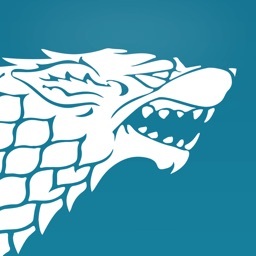 ▶ Don't miss any GAME OF THRONES episode premieres! DATE thanks to our app and get notified when the BOOK IS AVAILABLE for pre-order/order! 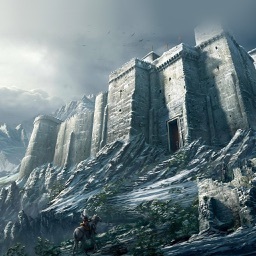 ▶ Spy on GEORGE R. R. MARTIN and be up to date with his BLOG POSTS! 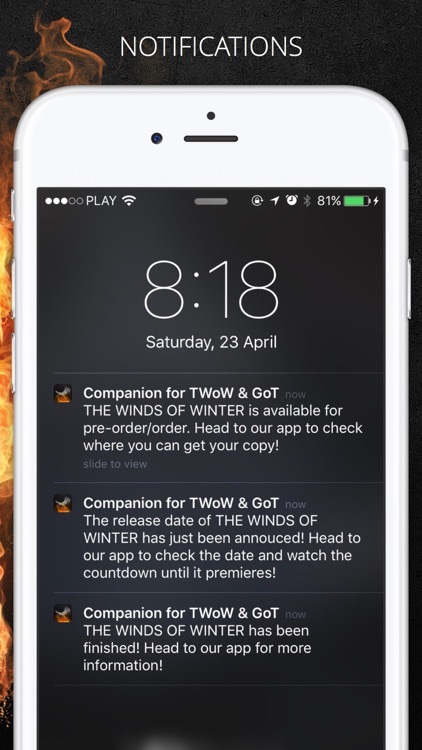 Companion for The Winds of Winter & Game of Thrones is an app that filters George R. R. Martin's blog 'NOT A BLOG' and notifies you the moment there are news regarding The Winds of Winter such as the book is finished or its release date. Along with notifications it also provides you with all the dates and reminds you when they're due! If you aren't into books but are a big fan of the show, we have prepared a Game of Thrones episode premiere reminder! 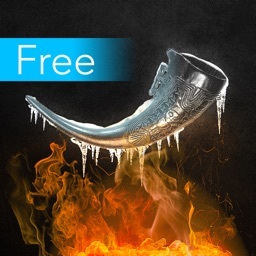 This app is a must have for all A Song of Ice and Fire and Game of Thrones fans! √ QUICK NOTIFICATIONS - Check and set up all your notifications in one place! 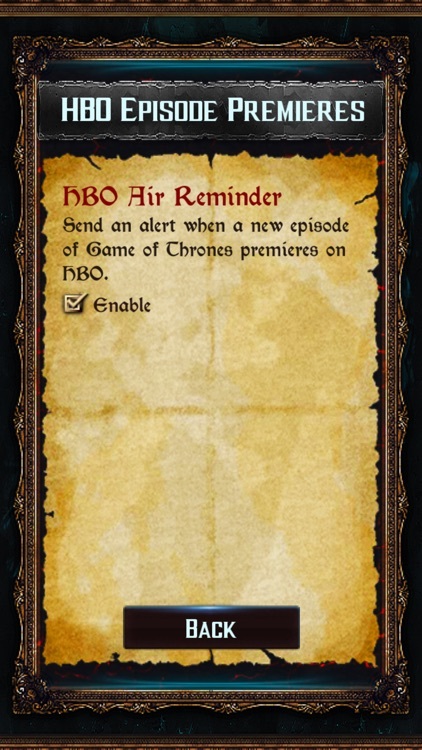 √ HBO EPISODE PREMIERES - Be reminded when the new Game of Thrones episode premieres on HBO! √ IS THE BOOK FINISHED? 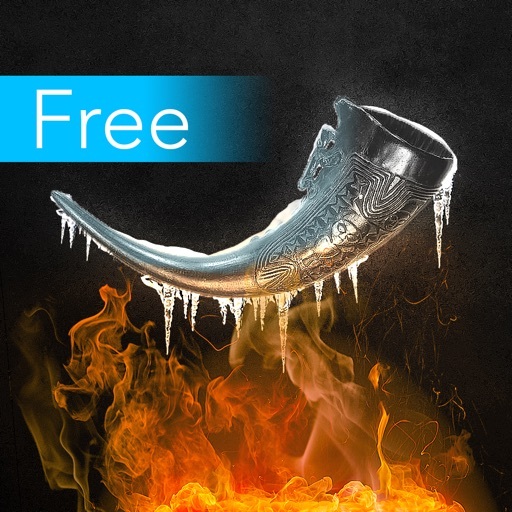 - Be the first to know when The Winds of Winter is done! 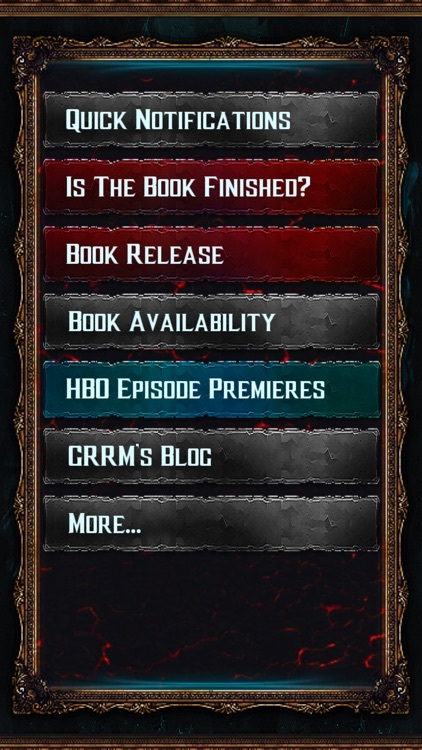 Get a notification when GRRM announces the book is finished! ▸ Works on every device! 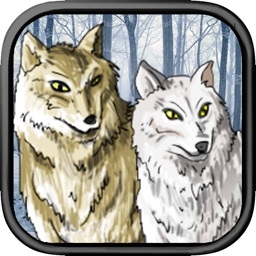 ▸ The Winds of Winter /Game of Thrones Theme! 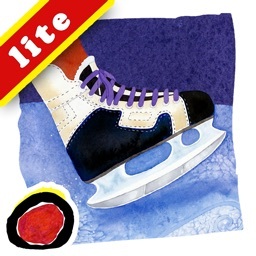 ▸ Supports LANDSCAPE and PORTRAIT mode! √ BOOK RELEASE - be notified when The Winds of Winter release date is announced and reminded when it's due! You'll also see a countdown to the release date in-app. 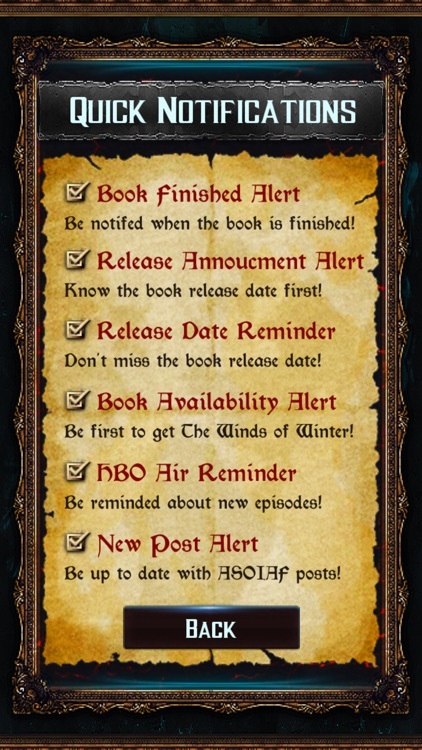 √ BOOK AVAILABILITY - be the first to get your copy of The Winds of Winter, get an alert when the book is available for pre-order or order! We'll also provide you with a link to where you can get it! No queues, no long waiting time for the package! 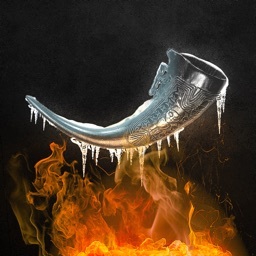 √ GRRM's BLOG - set up the alerts and be notified when GRRM adds a new post regarding A Song of Ice and Fire, The Winds of Winter or Game of Thrones.